If you want to make a “wow” type of bread, this has got to be the one. It’s soft on the inside and crusty on the outside, a perfect combination. And all the “mixing” is done with your blender. Give these a try and I’ll think you’ll be hooked. Grease 6 wells of a popover pan with non-stick cooking spray or shortening. Pans usually have 6 wells each. You can substitute ramekins in a pinch but the popover pans give you the best lift. In a blender, process together the milk, eggs and butter until combined. Whisk together the flour, xanthan gum ( if using) and the salt. Pour the flour mixture into the blender and process for about 1 minute or until smooth. It goes quick. Toss in the chives and garlic and pulse just to combine. Pour the batter straight from the blender into each well. The batter will almost fill them full to the top. It will be close. Bake these for about 20 minutes at 400 degrees. Turn the oven heat down to 350 degrees and bake for another 20 minutes or until golden brown and very puffy. Take out of the oven and immediately poke each popover with a fork to release the steam. 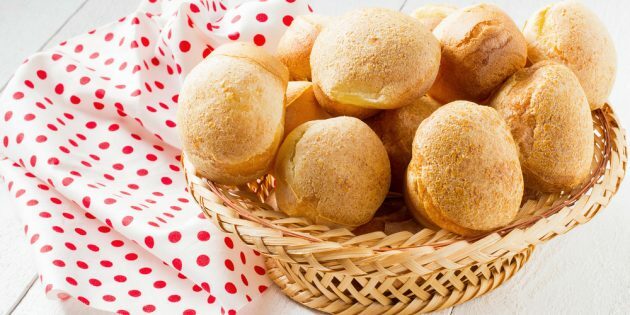 Let the popovers cool down for 3 minutes. Take them out of the pan and serve warm. If you can’t serve them right away, place in a warm over and cover loosely with foil until ready to serve. Makes 6 regular sized popovers. You can make plain popovers by omitting the garlic; and chives from the batter. 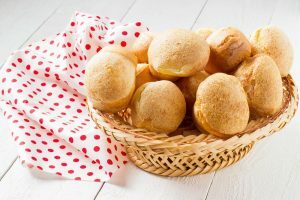 These are very simple to make and a delicious crusty yummy roll. If you need a popover pan you can get one here on Amazon. If you click on any of the links on this post, I will receive a small commission. I greatly appreciate your support for this blog and my musings!